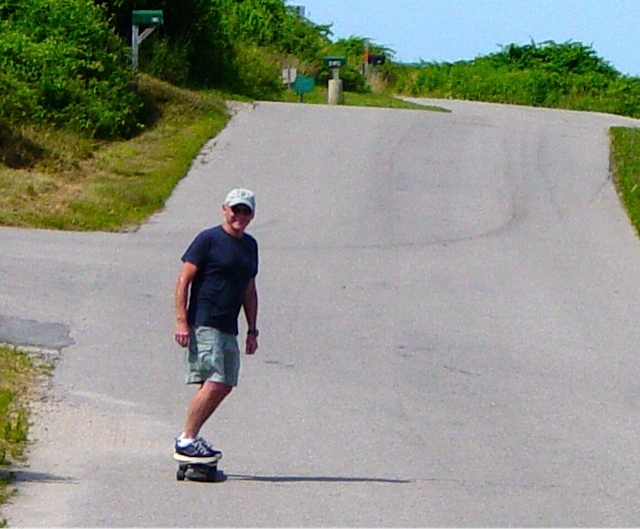 After a nearly two-year hiatus, prompted by common sense, I am back on my longboard skateboard. A New York Times piece on aging boarders got me rethinking my premature retirement from bombing minor hills here in South Jersey. The first outing was a bit shaky, but improvement is happening, and I feel that it won’t take more than a couple more days of riding for me to be back where I left off. That is of course, barring catastrophe.